On a first date, a single rose symbolises love at first sight. It can also be given in years to come to say, "I still love you." Whether it's a school crush or a more mature passion, six roses symbolizes infatuation. Let them know that their love is perfection with a bouquet of ten roses. 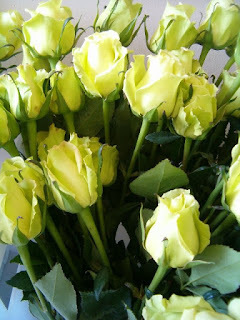 Send the message "my feelings for you are truly sincere" with a bouquet of twenty roses. Twenty-one roses say, "I'm committed to you." Cant stop thinking about you, 24/7. Send a message of happiness with twenty-five roses. Forty roses says, "my love for you is genuine." Signify a happy union of two loving souls till death or till a hundred years. You are my one and only one. Infinite love / Speak of a faithful love that will live on forever.